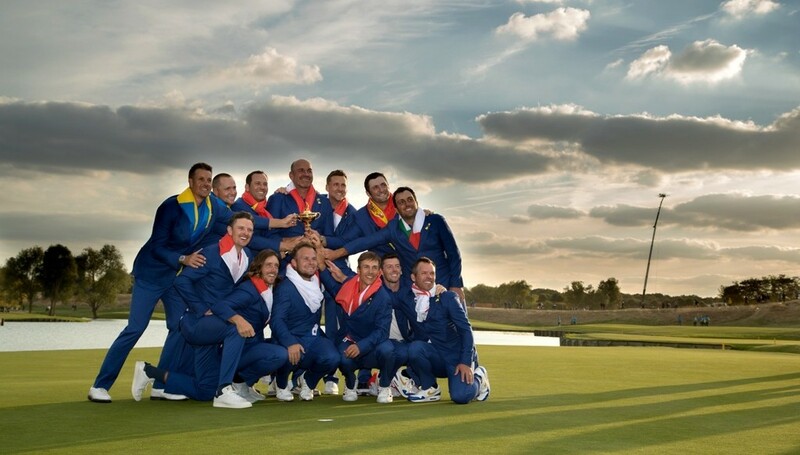 After Europe cruised to a sixth consecutive Ryder Cup win on home soil with seven former European Challenge Tour players in their team, the next generation of golfing stars will be hoping to emulate their success. The top 45 players on the Road to Ras Khaimah are targeting a strong end to the season at the Ras Al Khaimah Challenge Tour grand final, taking place at Al Hamra Golf Club from October 31 to November 3. The European Challenge Tour’s tagline, ‘Where Heroes are Made’ certainly rang true at Le Golf National for the 42nd edition of the iconic biennial tournament. Leading the Europeans to victory was Thomas Bjorn, who became the first former Challenge Tour player to captain a Ryder Cup side in the 17.5-10.5 triumph over the USA. Bjorn topped the Challenge Tour Rankings in 1995 and hasn’t looked backed since, winning 15 times on the European Tour and being part of three triumphant Ryder Cup squads as a player and now one as captain. He praised the Challenge Tour for setting him on the right path in his storied career. “When you set out on the Challenge Tour you obviously have a lot of dreams, you find out what you want to do with your career,” said the 47-year-old who claimed his first Challenge Tour victory at the 1995 Himmerland Open. 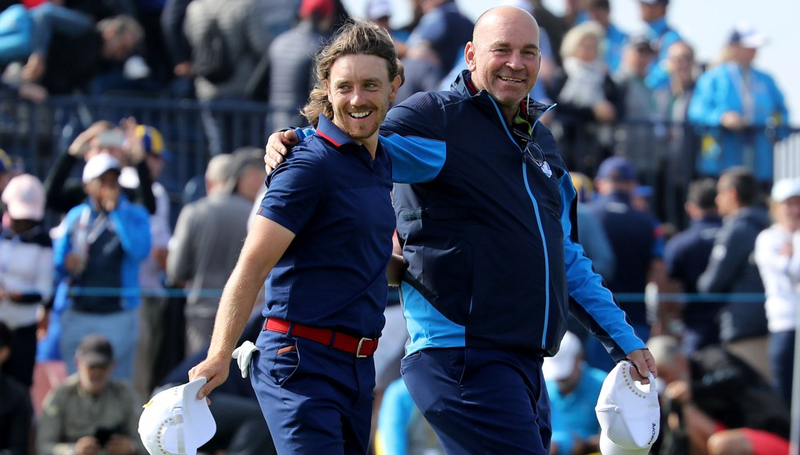 Bjorn couldn’t have dreamt of a better result in Paris after his team lost the opening fourballs 3-1, the single point coming from Open Championship winner Francesco Molinari and Race to Dubai champion Tommy Fleetwood, who topped the Challenge Tour Rankings in 2011. The Englishman added a further three points over the weekend to become the first rookie to win four points in a Ryder Cup. Like his captain, Fleetwood has credited the Challenge Tour for providing the perfect grounding on which he has built a successful career. “I think it’s the best thing you can do,” he said. “It’s the best way to move up the ladder. It’s such a competitive tour because you’ve got both worlds competing. There are guys who have just turned pro and are young and really hungry, like I was. “Then you’ve got guys who could have just lost their playing card and are desperate to get back on the European Tour. “So, you have both ends of the spectrum trying to get into the top 15 spots to qualify for the European Tour. It’s tough. I was lucky that I managed to make it in my first year on the Challenge Tour. Henrik Stenson, one of Bjorn’s wildcard picks, also started his glittering career on the Challenge Tour. The Swede, who topped the rankings in 2000, has gone on to win two Race to Dubai titles as well as lifting the Claret Jug at the 2016 Open. He won three points from three in the French capital. 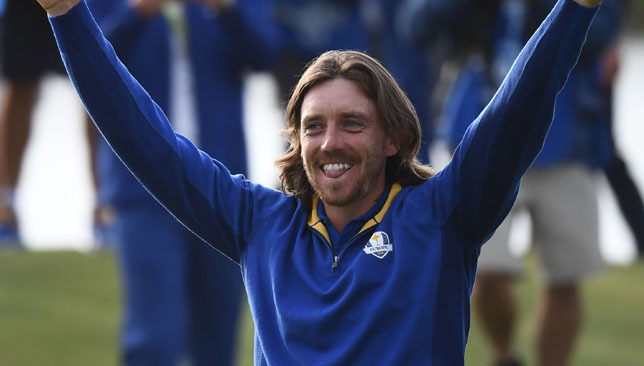 Europe’s leading light: Tommy Fleetwood. “My time on the Challenge Tour has proved to be very important in the outcome of my career – I am positive about that,” said the 42-year-old. “I went to Qualifying School in 1999 and didn’t make it, and as it turns out, that was probably one of the best things for me. Justin Rose, Ian Poulter, Thorbjorn Olesen, Alex Noren and Tyrell Hatton completed the seven former Challenge Tour players competing for Europe while three-time major winner and former Challenge Tour player Brooks Koepka made his debut for the US. The top 15 players on the Road to Ras Al Khaimah rankings will be awarded European Tour cards following the grand final. With such an array of quality players coming through the Challenge Tour ranks and going on to compete on one of golf’s greatest stages, the significance of the tournament cannot be understated. 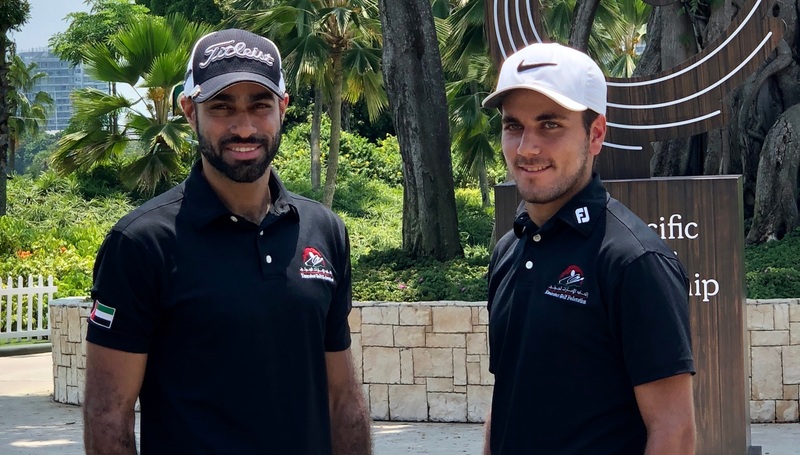 Ahmed Skaik and Abdullah Al Musharrekh will be flying the UAE flag in Singapore at the Asia-Pacific Amateur Championship (AAC), the premier amateur tournament in the region, when play begins at Sentosa Golf Club from Thursday. Both Skaik and Musharrekh are making a comeback of sorts to the game, but are confident of putting on a good show in a tournament which offers a dream reward to the champion – an invitation to the Masters Tournament at Augusta National Golf Club and a place in the 148th Open at Royal Portrush in 2019, provided he retains his amateur status. Skaik finished his final year in International Studies from American University of Dubai, while Musharrekh has recently returned from South America, where he was working with Mubadala for the past four years. This is Skaik’s second AAC appearance after missing the cut last year in Wellington. “It’s not been a very good season for me as the focus was more on studies. But I am now done and have started concentrating on my golf again,” said the 21-year-old, who has plans of turning professional in a few years and aims for an Olympic spot in 2024. Abdullah played in the inaugural AAC in 2009, and is making his second appearance in the event as well. But he is not short of motivation as his younger brother, Ahmed, holds the record of best finish by a UAE golfer in the tournament (T24 at even par), which also came in Singapore when the tournament was last played here in 2011. “Ahmed played very well that year. He was very consistent and shot two sub-par rounds. That was one of the proudest moments for UAE golf. And yes, that gives me motivation,” said Abdullah. Skaik admitted winning the tournament would be difficult, but he was confident that they would both make it to the weekend. “The level here is pretty high. And as I said, I haven’t been playing regularly earlier in the year. But I know that if I play to my potential, I can post a good result this week,” he added. Brooks Koepka insists there was no fight between himself and team-mate Dustin Johnson in the aftermath of Europe’s convincing Ryder Cup victory over the United States in Paris. Koepka and Johnson are regarded as good friends and live close to each other in Florida, but were reported to have clashed after being invited into the European team room following the biennial contest at Le Golf National. 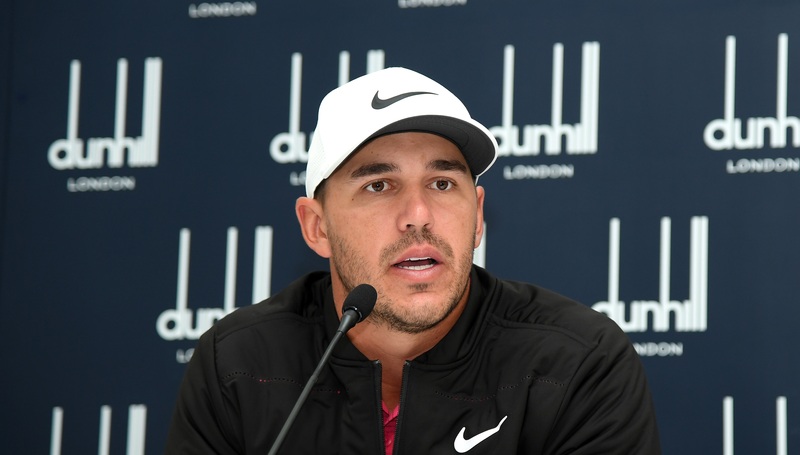 “This Dustin thing I don’t get,” Koepka said at a press conference ahead of his appearance in the Alfred Dunhill Links Championship. “There was no fight, no argument. Jordan Spieth for the end of their successful Ryder Cup partnership and claiming it was “not smart” for captain Jim Furyk to leave him out of two sessions. “As far as camaraderie, it was fine, it was perfect,” Koepka added. “The problem is you guys (the media) try to find a reason why we lost and the simple reason is we just didn’t play good enough. “We didn’t make the putts, hit the fairways, especially me. I lost two matches and halved another one. If I won those, if Tiger (Woods) wins his; Dustin lost one with me and then I think lost in the singles.